Hi I am IBee and I am a Car as you people have social networking sites we too have a social networking site and its carconnect.in. 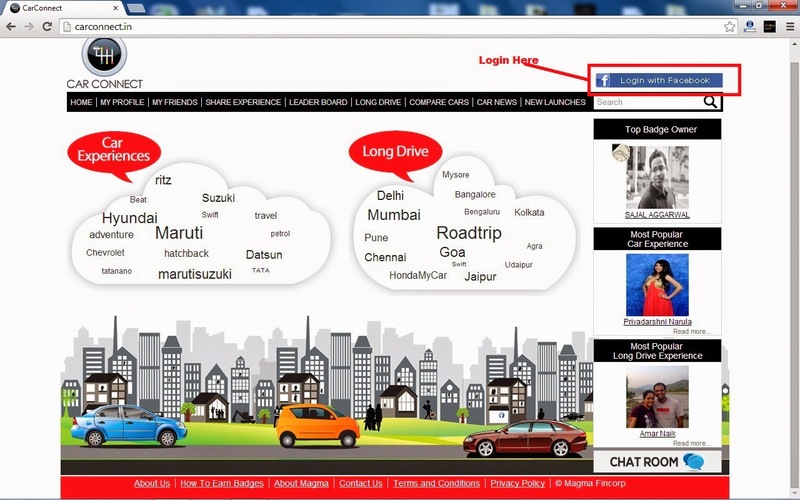 We cars connect through this social networking site and get to know about each other and widen our Carosphere. So how do we connect on Carconnect.in? I will explain you in detail. The owner creates a profile mentioning his car name and he shares his experience with others. 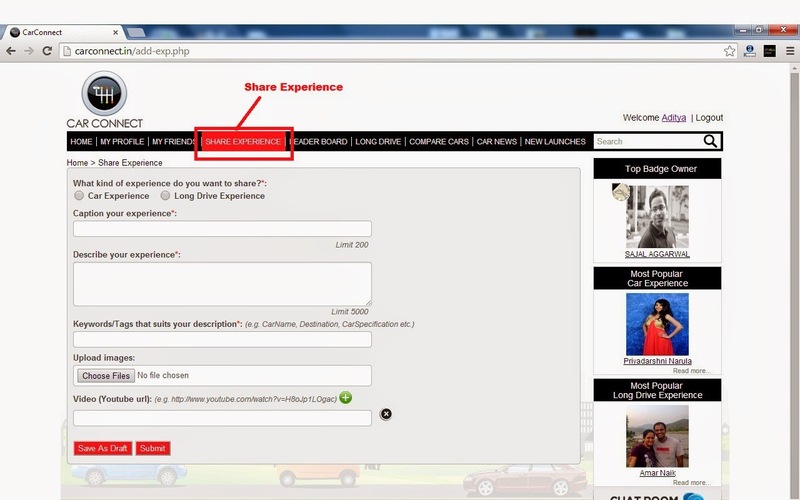 Whether it’s a car experience or Long Drive experience you can share it all. You can even compare us on Compare Cars tab and even get to know when a new model of a car is coming and increasing our Carosphere. Before Carconnect.in our life was so boring but now we can see pictures of other cars and get to know about them our social life has gone up with carconnect.in. We all like to read other car experience. We have all kinds of experiences to read from funny to emotional and some with mystery too. Last night I was hearing about an experience which was so funny. A person parked his car outside a graveyard and went inside and started dancing inside the graveyard with his friends. We even have portfolio of us on Carconnect.in. It’s simply great!! 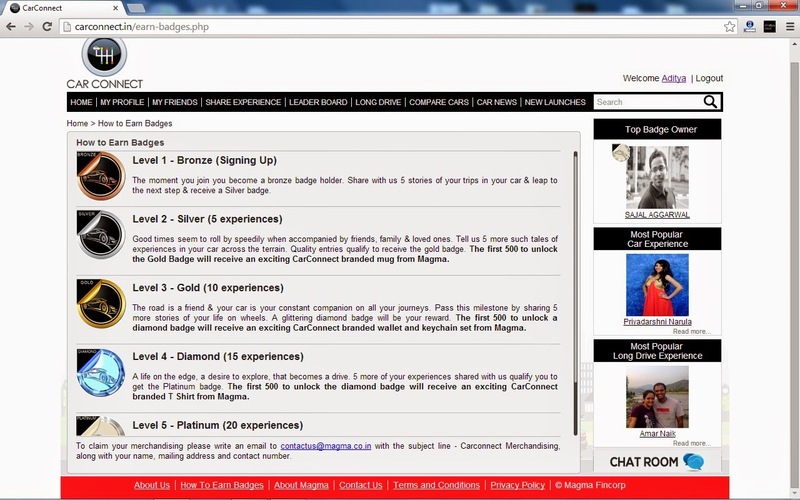 Our owner earns badges for writing his/her experiences. My owner is so lazy that he is at Bronze level since a month. 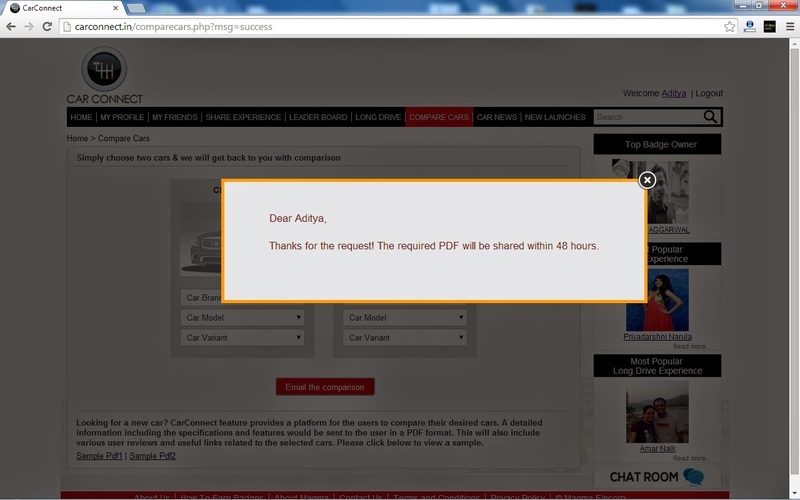 I want him to open carconnect.in daily as I like to read car experiences. 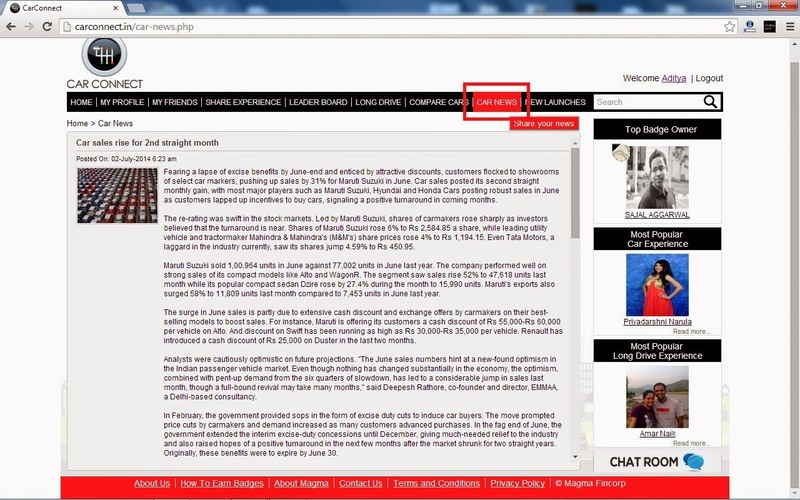 The design and layout of the website is simple with a white background and Text color Black. The Tabs are easily accessible and visible as a Bar on Top. I would now explain you how to use carconnect.in. 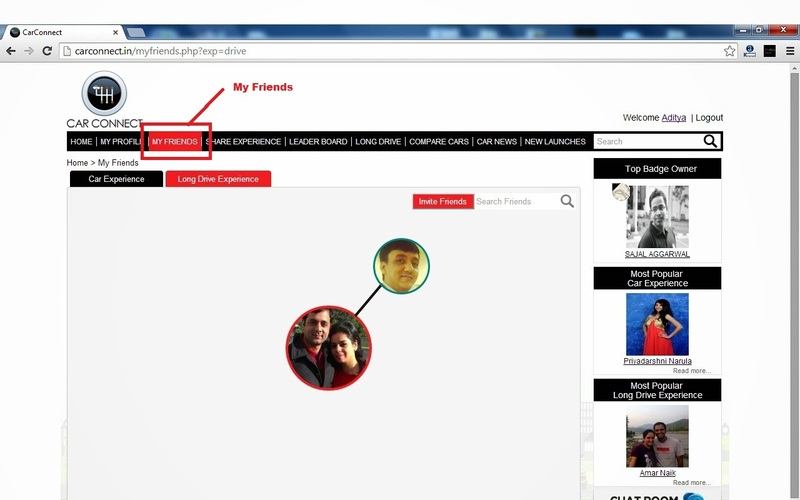 Since it is a social networking website you can login with your Facebook Account. 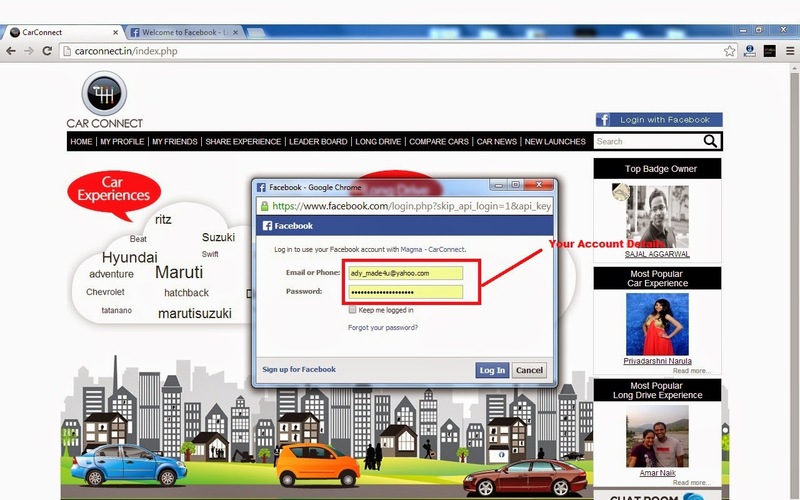 After, clicking Login with Facebook enter your Facebook Username and Password to login. After, Login at the right corner you will see your name being displayed. 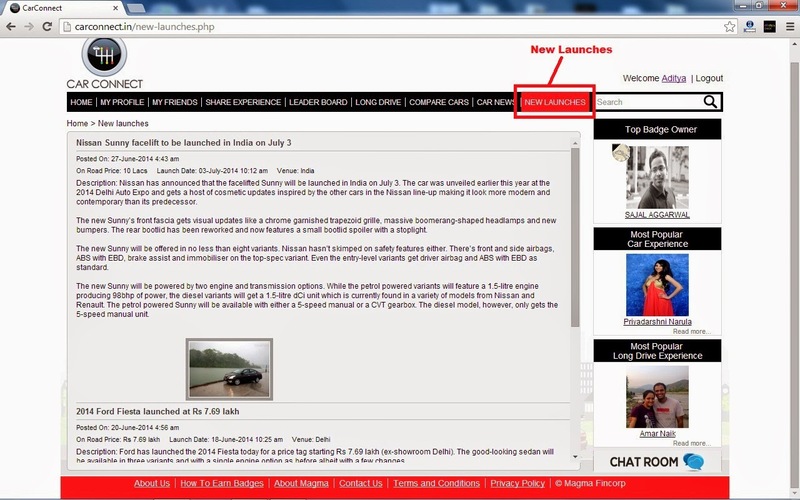 You can read about latest car news through the Car News Tab and even share your own news. You can also read about New car Launches and our Carosphere being extended. 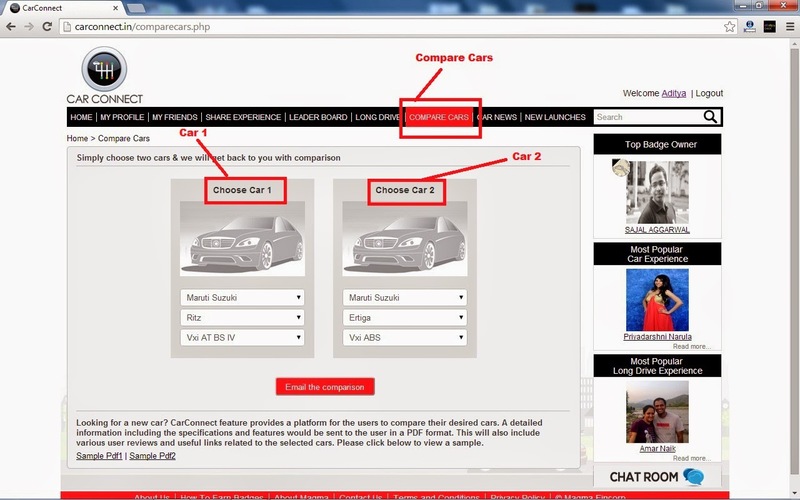 You can also compare us on the compare us page the comparison is mailed to you on your email id within 48 Hours. 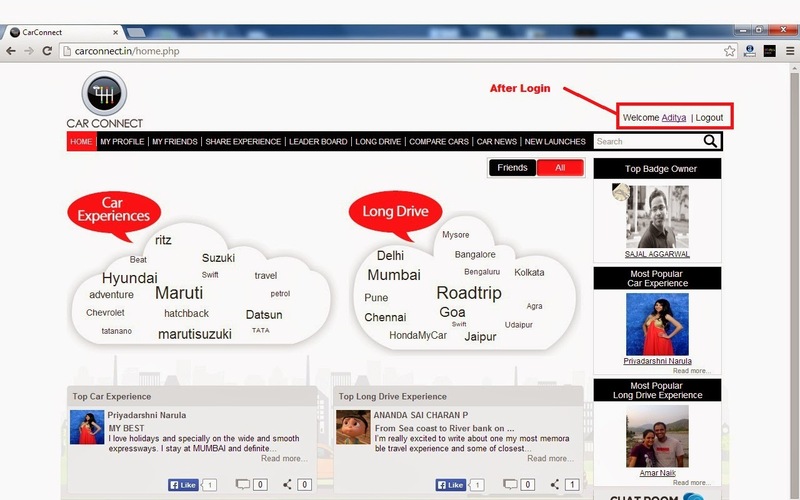 You can read about the Long Drive Experiences by state through the Long Drive Tab. 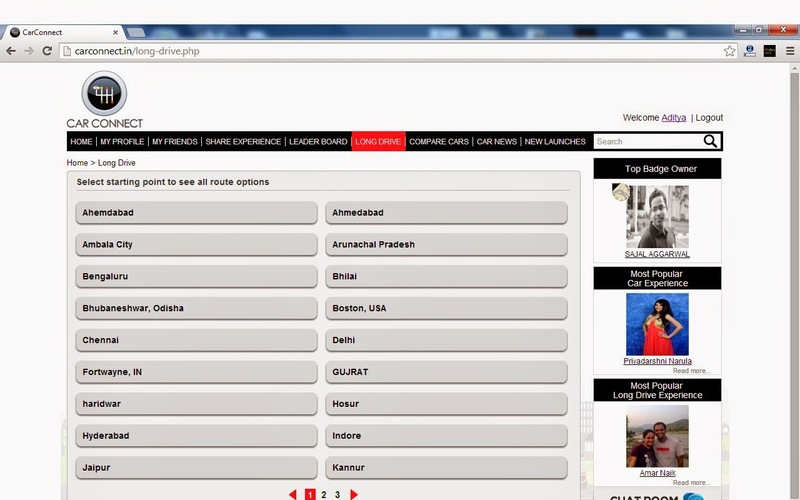 Here they can mention it Long Drives by State also on their web page. 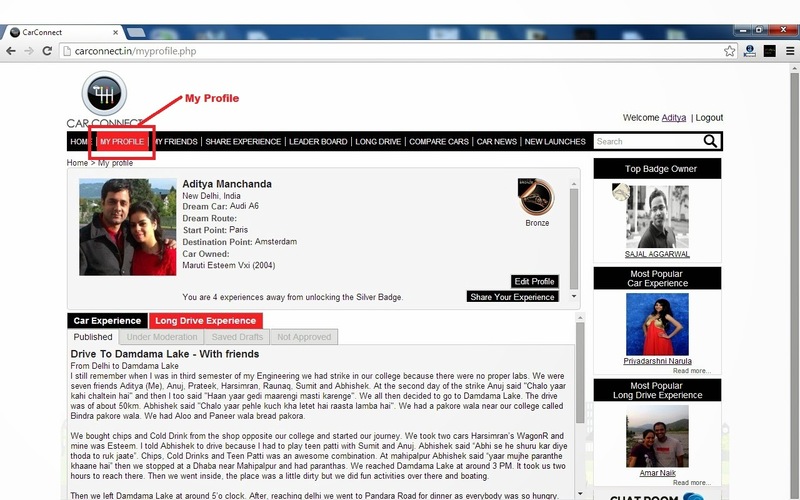 The owner can look for his profile under the My Profile Tab. Below is the screenshot of my lazy owner. 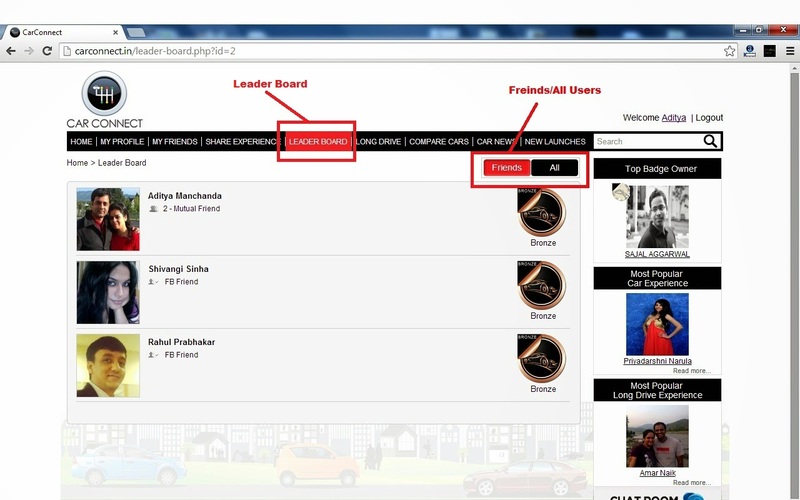 There is a leader board where the owner of us can see where he stand in sharing his/her experience among his friends under the Leader Board Tab he can filter by friends/all. Carconnect.in is a very unique concept by Magma. I love this concept.